MRP $300, 000-$310, 000. Bright & Spacious, 2230 Sq Ft, 4 Bdrm, 3 Bath, Tri-Level on .24 acre newly fenced lot. Vaulted great rm leads to well appointed kitchen w/breakfast bar, pantry, work station, all appliances & large dining area w/walk-out to deck. 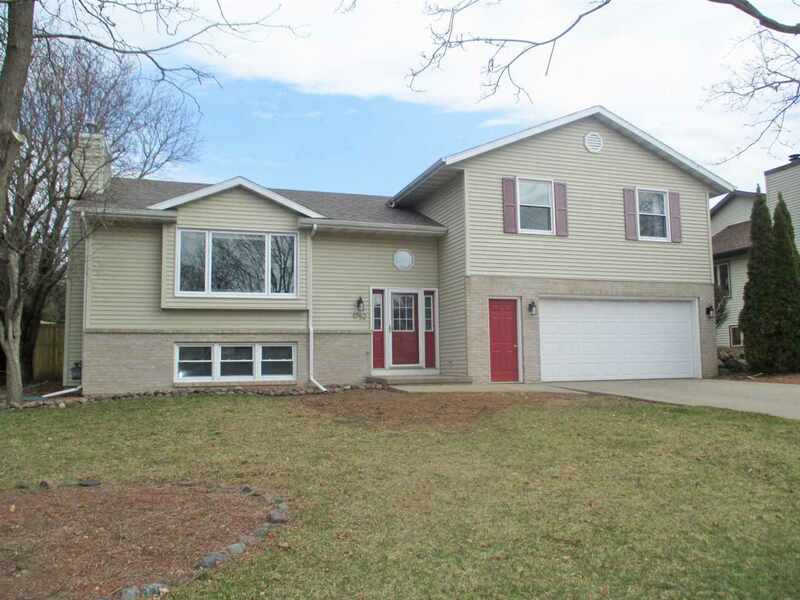 Master has walk-in closet & full bath w/new tiled walk-in shower. Finished exposed lower level family rm w/gas fireplace. Oversized 2 car garage offers plenty of storage & access to lower level. Recent updates include: roof, skylight, windows, paint & new washer & dryer. Convenient west side cul-de-sac w/quick access to shopping areas.